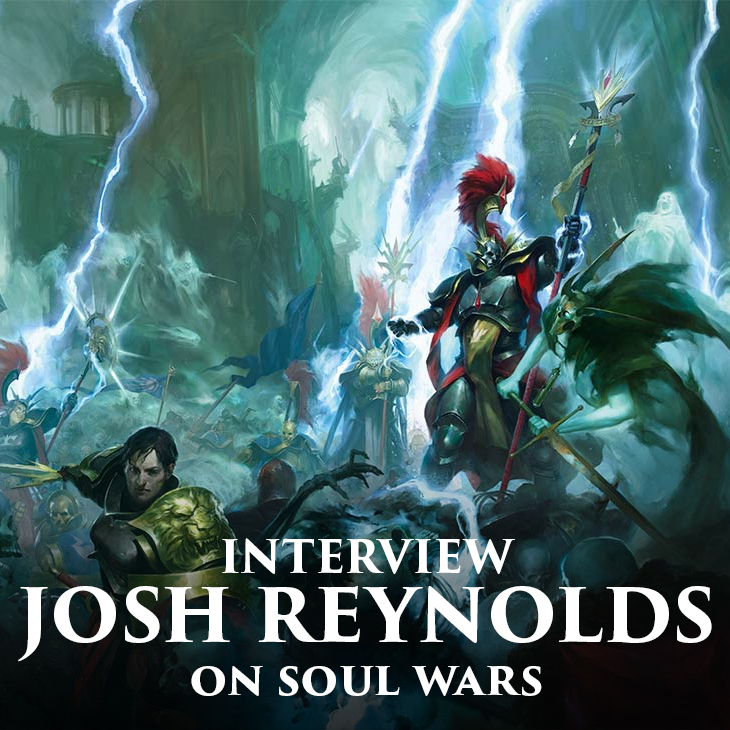 Today we're lucky enough to have an interview with Josh Reynolds about his new Soul Wars novel. The master of undeath himself was able to usher in the new era of Age of Sigmar with this awesome novel, which had quite a few firsts in it. How did he go about writing this novel? Tyler: What were your first thoughts when you were asked to write the Soul Wars novel? 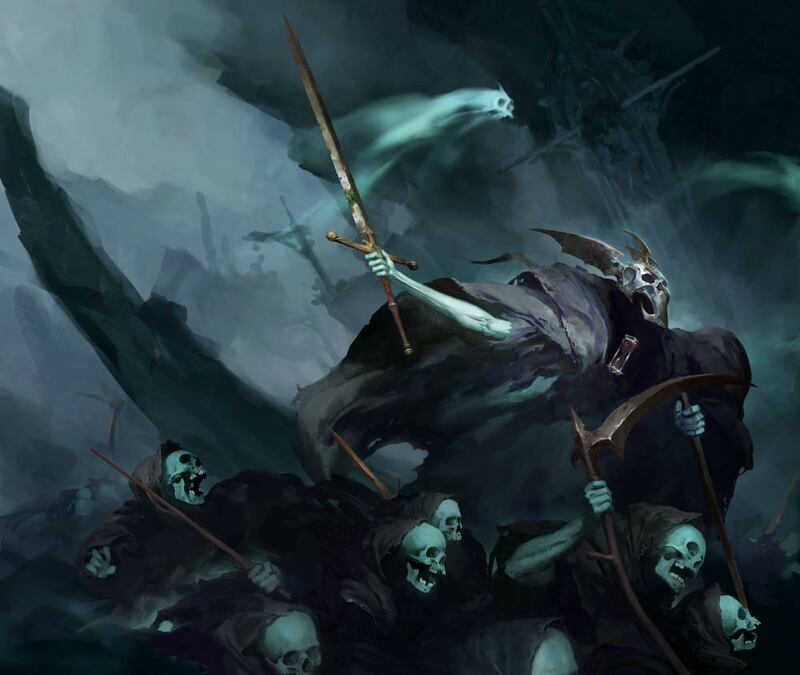 Were you excited to see Nagash take a more central role in the AoS story arc? Josh: I was, yes. I think it’s been a long time coming, and I was pleased to be asked to take on the task of re-introducing the new status quo. The idea of Chaos being on the backfoot for a bit, and a new (old) menace rising to threaten the realms is one that appeals to me – honestly, I hope the trend continues. For instance, I’d like to see Destruction take pride of place after Death has its time to shine. A new WAAAGH sweeping across the realms, disrupting things…that’d be pretty cool. Tyler: Although Knossus and Malendrak are in the story, they aren't actually the focus. Was this your idea of Black Library's? Josh: Both. Black Library has been wanting to move away from ‘the story in the box’ style of tie-in with books like these. So the book needed to be about the units in the box, but not about the named characters – Knossus, Malendrek, etc. We still needed to mention them in some capacity, but they couldn’t be the focus of the story. Too, I couldn’t make up a decisive ending for the Battle for Glymmsforge, as that’s for the players to decide, but the characters still had to achieve something. So I had to write about all of that stuff, without the book actually being about it, if that makes sense. Tyler: Soul Wars has a few fairly radical shifts in established AoS lore concerning Stormcast with Balthas and Pharus, was this something you came up with and if so how did you pitch it to GW? Josh: Balthas I took straight from the background. There’s a mention in either the core book or the story booklet about a Lord-Arcanum of the Anvils of the Heldenhammer turning gold into lead, etc. and since BL wanted me to use the Anvils as the protagonists, I just decided to give that guy an (obviously referential) name and use him. I had to run it by my editors and Phil Kelly first, but they liked the idea, so that was that. 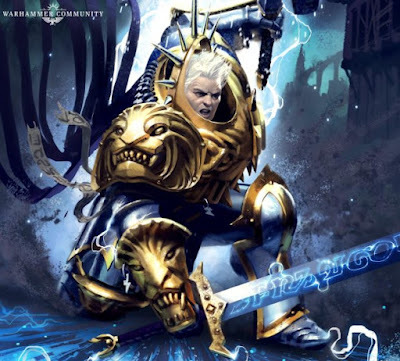 Pharus…Pharus was done mostly to address certain fan speculations about the nature of Stormcasts. Too, I needed a Knight of Shrouds-type character, but I didn’t want a carbon copy of Malendrek, so I decided to kill two birds with one stone. As with Balthas, it took some back and forth to convince the editors, but I think it worked out for the best. Tyler: Though it's never stated explicitly who Balthas is, to most veteran readers it's fairly obvious. What made you pick Balthasar Gelt to be the first soul from the world-that-was that we've seen reforged? Josh: Like I said, he’s mentioned in the game book in an offhand way. Just a tease, really, but I thought something interesting could be done with him. Too, for such an important character, Gelt didn’t get much page-time. I was asked once if I had any interest in writing about him, and I said no…I’ve always sort of regretted that. So this was my way of making up for a past mistake, I guess. 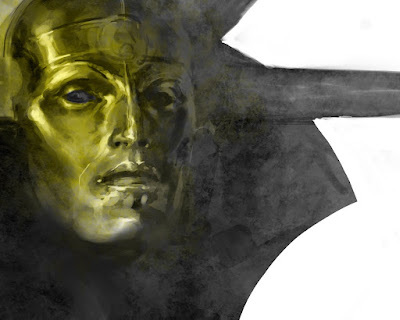 Tyler: The ramifications of what Nagash is able to do to poor Pharus could lead to a lot of interesting things in AoS. Is this something you would like to explore more? Josh: Nah. I’ve pretty much said what I wanted to say about it, honestly. No need to go back to that particular well, at least for me. Tyler: I really love the little personality quirks you gave Arkhan in this book and how he might not be the obedient servant he portrays himself as. What led to this? Josh: It’s really just an outgrowth of how I’ve been writing him, I think. He’s not just an automaton, for all that he’s bound to Nagash’s will. He has to follow Nagash’s commands, but has some freedom as to interpretation. Hopefully, I’ll get to explore that more in the future. Tyler: Being one of your novels, there are of course plenty of references to past stories of yours such as Black Rift and The Hunt for Nagash. As your universe is expanding is it becoming harder to keep track of all of it? Josh: A bit. I’m considering putting together a spreadsheet of characters and places, just to make it somewhat easier. Tyler: I really love how all of your stories are interconnected, it really makes it feel like a livinig setting. Can we expect an Avengers-esque team up novel at some point with Orius, Balthas, Gardus, Zeph, and Taursus? Josh: I’d be up for it, but it would depend on whether I could come up with a story that worked with all of them. For the time being, it’s mostly going to be cameos, I think. Tyler: I think your take on the Mortarchs of Nagash are the best out there. Do you have any plans to write a story with Lady Olynder? Josh: I’d like to, certainly, but I don’t have any plans at the moment. Tyler: Speaking of Nighthaunts, did you find it hard to give the ghosts personalities that felt fleshed out at all? Josh: A bit. Figuring out how to approach a character like that takes some time. With Deathrattle, I tend to imagine them being echoes of who they were. Deadwalkers are basically feral. The Nighthaunt, being tortured spirits, are driven by spite and rage…they’re simultaneously vindictive and despairing, which is an interesting mix. Tyler: Who was your favorite character to write in Soul Wars and why was it Elya? Josh: It actually wasn’t Elya, surprisingly. Honestly, my favourite character was Vale, the semi-corrupt Glymmsman Lieutenant. Or possibly Poppa Chown. I enjoyed writing the freeguild characters quite a bit. I’d love to do a whole freeguild novel in the future – though I will say that Hallowed Knights: Black Pyramid comes close to that. Tyler: What are you most excited to write about within the new story arc of AoS? Josh: Mostly I’m looking forward to seeing how the characters I’ve been writing react to the new status quo – how will the Eight Lamentations crew cope with the plague of undead, for instance? And what does it mean for Grungni’s plan? Tyler: What books can we look forward to seeing from you in the future? Josh: Of the ones I can mention, there’s Shadespire: The Mirrored City, which is possibly the start of a series or not, depending, and Hallowed Knights: Black Pyramid, the sequel to Hallowed Knights: Plague Garden. There are a few others, unfortunately, I can’t really talk about them yet. A big thank you to Josh for taking the time to do this. Be sure to check out my review of Soul Wars here, and check out all of his books on the Black Library here! You can also read his thoughts on his own blog, Hunting Monsters.